Beautiful Open Concept Home On One Of The Most Desirable Streets In The Woodland Hill Community Of Newmarket! Built By Terra Brook Homes 'The Highland'! 9 Foot Ceilings! Second-Storey Loft Family Room W/ Gas Fireplace, Which Can Be Easily Turned Into 4th Bedroom.Huge Landry Room With Closet Open To Garage.Wrought Iron Railings!Newly Renovated Basement! 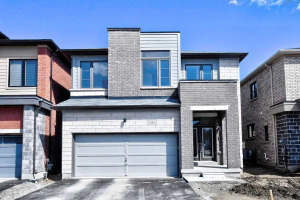 Walking Distance To Great Schools, Shopping, Transit, Parks And Ravine Trails! No Sidewalk! S/S Appliances, Pot Lights, Crown Moulding, Front Load Washer & Dryer.